Barcelona have not lost at home in the Champions League since 2013. 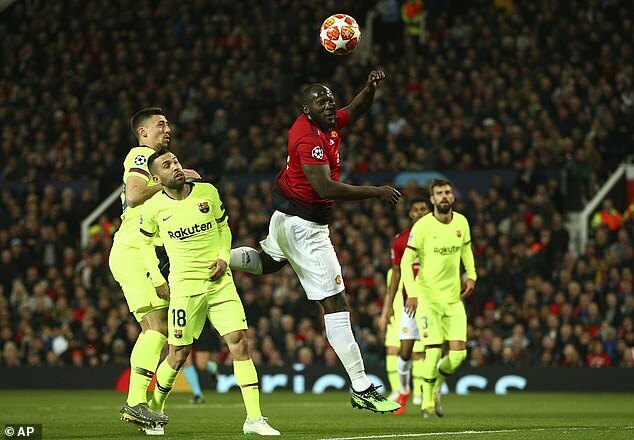 If Manchester United are to progress to the semi-finals they will have to do something the last 30 visitors to the Camp Nou in Europe have failed to do. 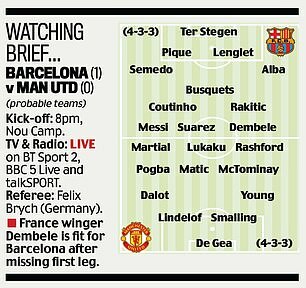 Looking at some of the teams who have tested Barcelona this season, Sportsmail asks how their weaknesses can best be exposed. Barcelona’s 4-3-3 can leave their full-backs unprotected. Earlier in the season a run from deep from Athletic Bilbao full-back Oscar de Marcos saw him put his side ahead at the Nou Camp. If Ashley Young and Diogo Dalot can get high enough up the pitch to get around the back of Jordi Alba or Nelson Semedo then it could pay dividends. The tactic has worked even better for opponents using wing-backs. Barca lost away to Leganes and were beaten 4-3 at home by Betis earlier this season – both teams played a 3-5-2. The Betis defeat owed plenty to wing-backs Junior Firpo and Cristian Tello. Junior scored the first and set up the fourth and Tello set up the second. Manchester United played this system in the first leg but we barely saw Young and Dalot get forward. 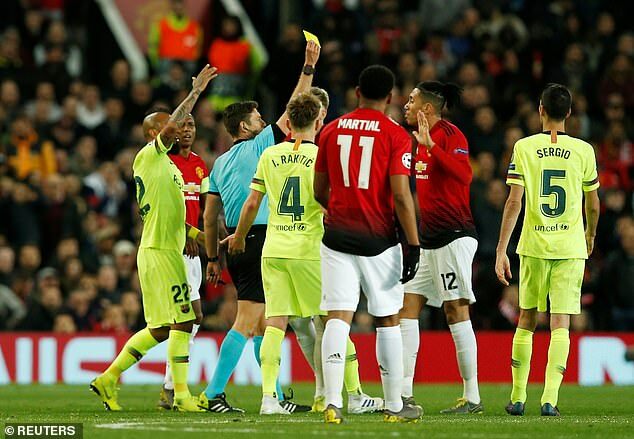 This was something United did do well in the first leg to the point where the Spain international picked up a booking and was fortunate not to see a second yellow. Sergio Busquets is still a master of his trade but he has less support these days. 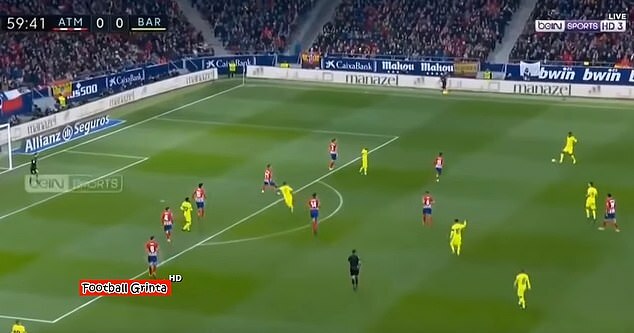 There is more space between his position and the two central defenders because Barcelona don’t defend as high as they use to. If United’s forwards can get busy in and around Busquets’ territory then there will be loose balls to feed on. Valencia forward Rodrigo Moreno did it very well at the Nou Camp earlier this year. Busquets was suspended but he gave Ivan Rakitic, playing in his place, just as much trouble. 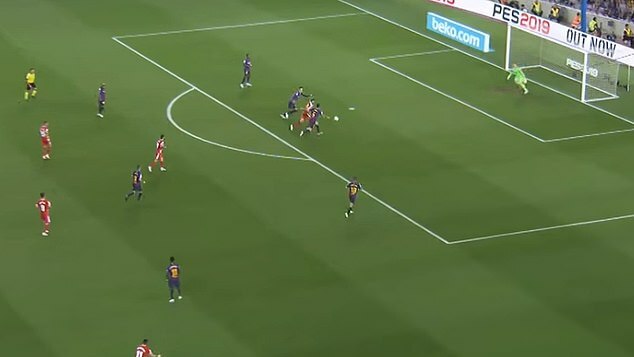 Teams that tend to concede fewer goals against Barcelona have been those setting up to defend narrow against them, in effect conceding space out wide and trying to crowd out that area that runs the width of the penalty area. 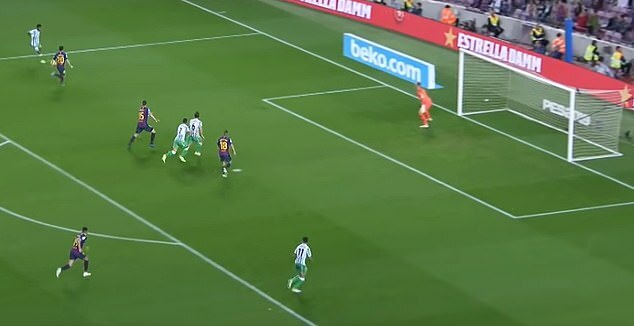 The theory is that that’s where Messi does his worst so that’s where the manpower is needed. Simeone is also the master of playing several games in one against Barcelona. Ninety minutes is a long time and it’s hard for teams to maintain any game plan for that long. In the 1-1 at the Metropolitano Stadium earlier this season Simone sent his team out to press high and force errors early on, and then sit deep in numbers later. 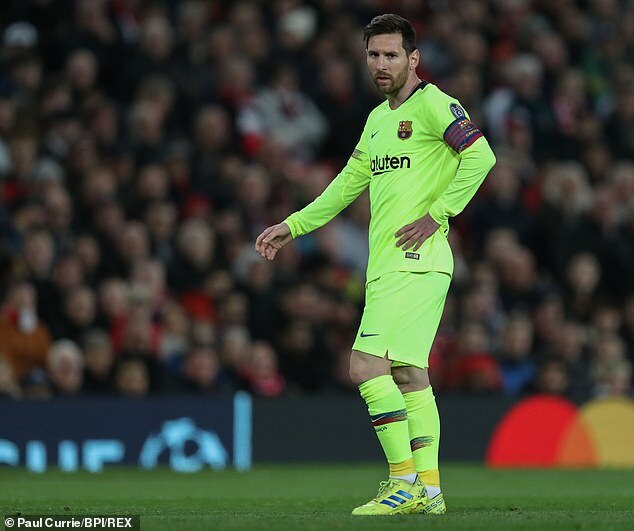 His team alternated between those two options throughout the game and would have the match if not for Ousmane Dembele’s late equaliser. Barcelona are a relatively small team with limited options when it comes to defending corners and lateral free-kicks. 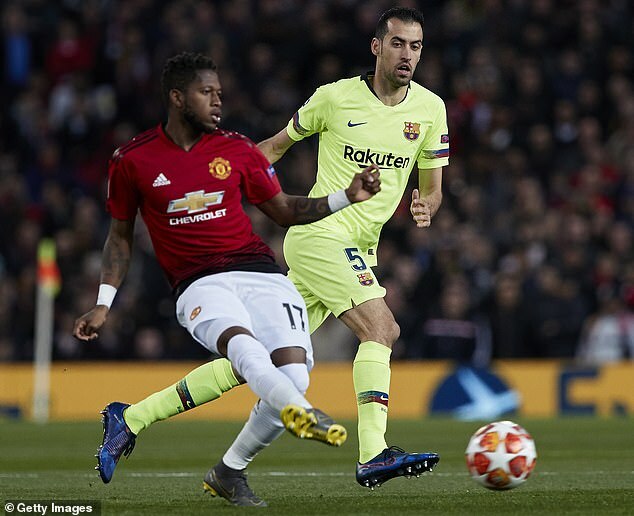 Gerard Pique and Clement Lenglet are good in the air and Rakitic, Busquets and Luis Suarez can do a job but if United can get one-on-one with one of the weaker links they can prosper. Diego Costa managed to get one-on-one with the currently injured Rafinha earlier in the season and he headed Atletico Madrid into the lead in that 1-1 draw at the Metropolitano. 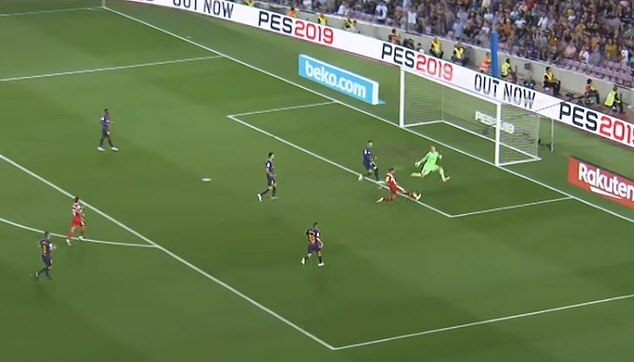 Sounds too simple to be important but the Barcelona passing machine is no longer so finely tuned that one component can be taken out of it with no negative consequences. They had central defender Clement Lenglet sent off with 10 minutes left of the first half against Girona earlier in the season and suffered badly. Coach Valverde procrastinated as to who to take off so he could put defender Samuel Umtiti on. With Busquets stepping back into the heart of defence, while the manager made his mind up about his change, they conceded. What United can’t do is give Barcelona the extra-man advantage.